Logitech G9 Leaked; Looks Vaguely Reminiscent Of Transformer Robots | OhGizmo! Secure IronKey Self Destructs, Does Not Blow Up. Sadly. 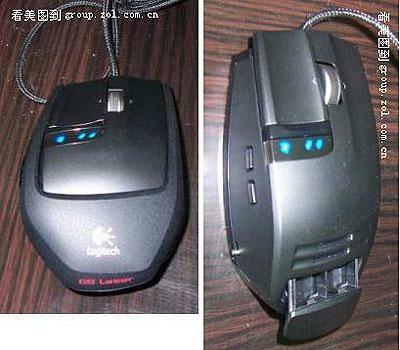 Photos of what appears to be the Logitech G9 have been leaked onto the intertubes. While it does appear to be the real McCoy, no official word from Logitech has been given. It appears to have the adjustable weight cartridge that made the G5 a personal favorite, as well as the standards like customizable buttons, scroll wheel, etc. Apparently, the DPI sensitivity buttons below the scroll wheel have been moved (or removed), and the resolution display panel has been relocated. Others have stated that it will include changeable faceplates, to enhance personal customization. Well, here’s to hoping it comes with many more cool features.